Interesting when something is so close to our heart, yet we rarely talk about it. Music is that “thing” for me. It wasn’t the first time I’ve seen James Taylor. In fact this could have been the 10th or 11th or the 20th. I’ve lost track. I do remember the first time though. And I remember how his music has been a thread weaving together the soundtrack of my life. Let me take a step back. Seeing James Taylor again, brought back memories. Not only my personal memories, but my generation’s memories, and the memories of someone close to me. It got me thinking of how many times James Taylor is mentioned in my book Confessions of a Middle-Aged Hippie. Although Daryl Hall has almost an entire chapter in the book, James Taylor is peppered throughout. His music is like a longtime friend I’ve always counted on to be there for me. His 1970 album Sweet Baby James, was the one I’d listen to when I was in debilitating physical pain suffering with undiagnosable health issues. His soul-filled angelic voice and soothing lyrical melodies always helped to ease my pain. Quite literally. No surprise. Music has that power. The ability to relieve pain is among music’s many well-known healing properties. In December of 1970, I was in the audience at Massey Hall for his original Troubadour tour. Surprise guest, Carol King. Her first time going out on tour as a singer, known until then as a prolific hit songwriter with husband and writing partner, Gerry Goffin. That night has other special personal memories of a “first time” for me as well, however, that story is reserved for Confessions. Opening the show with fan favourite “Something in the Way She Moves,” Taylor, who has a rich sense of humour, joked it was a good concert icebreaker for him. He recalled how he first performed the song in front of Paul McCartney and George Harrison in 1968, before he was signed to Apple Records, so performing it for all of us, didn’t make him nervous at all. Here’s the part where someone else’s firsthand memories of James Taylor come in. My former husband Doug Billard, whose adventures in the music business could fill an entire book, has an incredible wealth of amazing stories he’s shared over the years. 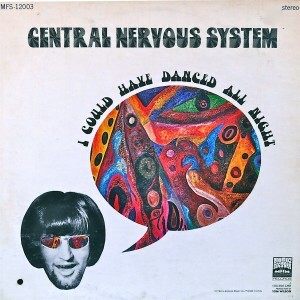 He happened to have landed in New York in 1968, with his band The Central Nervous System and ended up as a doorman at the legendary Night Owl Café, in the heart of Greenwich Village. The Night Owl was also the launching pad for many other soon-to-be famous musicians, among them John Sebastian (Lovin’ Spoonful) and Gary Bonner and Alan Gordon, performing as part of the group, The Magicians. (They wrote the hit “Happy Together” for The Turtles and hit songs for many others too). They all got their start there. Doug remembers every detail, as if it were yesterday. It’s also where Doug and fellow Canadian, David Clayton-Thomas (who became the lead singer for Blood, Sweat and Tears) would have singing jams every Saturday afternoon with the various groups playing the Night Owl. The energy of the place, the people and the time was contagious and Doug was inspired to write his first song “Walk in The Sunshine“, on a sunny afternoon stroll to Washington Square Park. Memorable times indeed. would become, they thought the person offering it was crazy. Doug laughed when he remembered the group’s quick unison reaction, “You want us to be WHAT?” Who knew. 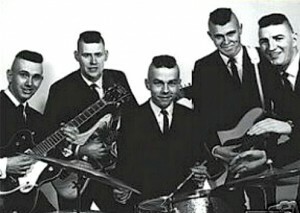 Even earlier in the ’60s, his group The Beavers, (with their unconventional Iroquois haircuts) was on the verge of signing a major record deal with London Records, when they got the news that a then unknown British group, had swooped in and landed the deal instead of them. Who was that unknown British group? The Rolling Stones. Interesting times. Rife with opportunity and memories that last a lifetime. My memories of my years in the music business are very different. The ’60s were a fertile birthing ground for a new era in music and so much of today’s popular music came out of this period in our history. My entry into the music business wasn’t until the early ’70s, singing with show bands, touring small-town Ontario, before Doug and I formed our own group. Our dream—to make it BIG. 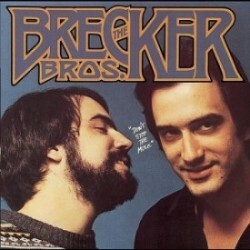 Perhaps one of my most vivid music memories is of when Doug and I were flown to New York in 1977, to sing back-up on our song “As Long As I’ve Got Your Love,” which the popular New York fusion/R&B duo The Brecker Brothers were recording for their new album, Don’t Stop the Music. For as long as I can remember, music has been a constant in my life. From my early love of performing musical theatre, to my time as a singer in a “rock & roll” band, to my passion for writing songs. Music has been there. Much of this I write about in Confessions, yet I’ve rarely shared it anywhere else. Music continues to heal me. It has comforted me during some of my most challenging times, always uplifting me. Writing song lyrics brings me joy and stirs my soul. But then, music is its own language. A language everyone understands. What music memories have impacted your life? Love hearing that you and I have lots in common Lisa! It’s amazing how that happens sometimes and something like music is another one of those life catalysts! Life without music, would truly be quite unimaginable in my world too! Thanks again for sharing yourself here too. Beverley, what another great connection we have. Music is a passion of mine too, different genres; same result. I have been lucky to have some modicum of success myself in the music business working with non-signed local bands bringing some to the table of major labels and others to Regional success. James Taylor happens to be my youngest daughter’s favorite singers; his Greatest Hits CD usually was able to calm her down when she had her “moments.” She is mentally & physically challenged, yet responds time and time again to music in various forms and genres. While she moves from one favorite to the other; she now likes Rush and has a big distaste for KISS. Many memories – good and bad – come to my mind as I hear various songs on the radio; music is definitely a connector in our lives. This is amazing to hear how yet again, we have something that is as important as music that we share in our lives, Tamara. Sounds like you’ve been very successful in the music business working with local bands and introducing them to major labels and success. It’s been along time since I’ve been active in the business, yet there is still something in my soul that would love to have one of our songs recorded for the world to hear. So happy to hear how healing James Taylor’s music is for your daughter, as honestly, his voice and his music got me through some very tough health times myself. I still play JT in my car while driving all the time. Also his Greatest Hits CD, interestingly.I’ve never been a fan of groups that are more rock and roll, however, it is interesting to hear how Rush appeals to her now. Very different that JT. And yes, music for everyone it seems, brings up memories that connect us to times and events in our lives that we might otherwise have forgotten. The music is the strand that weaves life together! Thanks for sharing so much about yourself and your family, as I’ve truly felt that you and I have a lot in common. Look forward to having a “real” conversation with you sometime too! Music is so important. It triggers memories and helps us heal. Going through high school in the 80s means that Aldo Nova and Def Leppard bring back good memories of when my biggest worry was if I could get out of the house wearing what I wanted to wear. I read a lot of blogs Beverley and I find it especially pleasurable to read yours. Today was no different. It’s funny how music can bring so many memories and conjure up all kinds of emotions – some quite unexpected. My earliest memories of music were playing my mum’s old 45 records and cassettes. Elvis Presley, Neil Diamond and others of their ilk. I was convinced at the time that one day someone would be listening to me singing on stage. Fortunately, that time has never come. Pray that it never does! For alas, even backup singing would have to be done way, way back from the microphone. Still, we can all dream. Clive Maloney recently posted…When Should You Ask for a Testimonial? Thank you so much for the compliment Clive! It really means a lot to me to hear that people enjoy my writing. And especially more so, as I know you do read so many blogs. Reading your comments it reminds me of how important music is in all of our lives and how it always seems to bring up fond memories of important times in our lives. I love that your memories go back to you childhood and your mother’s 45 records and cassettes. And how it conjured up ideas for you about how you might also make music some day. Whether you ended up making music or not, the important thing is how positive a force music has been in your life. I always encourage people to make music in whatever ways they can, as it truly offers something in our lives that often is indescribable and is beyond words. And I bet your singing isn’t as bad as you think it is! We all have some music in us somewhere to share. What a fabulous blog post and great memories here as well of the man and his music. Music definitely speaks to the soul and of the many soulful musicians out there, JT definitely touches the heart. Thanks so much Takara. Yes, music seems to permeated our lives and often we don’t stop to think about all the great music makers who have touched our souls with their music. JT is one of those for me too, as he sounds like he is for you as well. Here’s to music and wonderful memories! Wonderful article, Beverley! Music has been such a huge part of my life – I’m pretty sure I have a song for every memory! lol I was talking to my daughter about it a few days ago, and she reminded me of the time she had lunch with Jars of Clay before they were famous. Good times! It’s great to have a song for every memory, Cynthia! I think people who love music really identify it with our lives. What a great memory for your daughter too, as somehow these “music” related memories do last a lifetime! Glad you enjoyed the post too. I love music and I enjoy how it makes me feel 🙂 Personally not a big fan of James Taylor but he definately has the kind of music that is easy to listen too. Thanks so much Joan. Happy to hear that music is an important player in your life as well. Sounds like you have lots of choices of music in your life, which I believe makes life much richer for sure. Oh, let’s be honest. 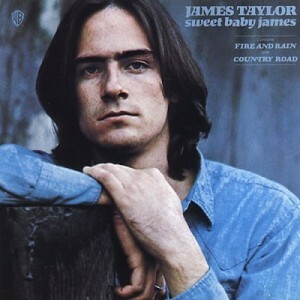 I am actually a closet James Taylor fan, but I have to admit, he’s pretty handsome on the album cover you shared. Are you sure it was just his music that made you feel better? He also has a sweet, clear voice. I am more of an all-over-the-map kind of girl. Some songs I grew up with–Captain and Tennille, Sonny and Cher (though I don’t really remember Sonny), the Bee Gees–will always make me smile when I hear them on some random radio, and then I truly appreciate Eric Clapton and Mick Jagger. Sir Paul McCartney is the only Beatle I truly love, and that is probably because I loved his concert. Then there are the “girlie Metal” bands, lol. Look what you’ve started, Beverley! I could write one of my 30-page papers on this! lol. You are absolutely right when you say that music touches everyone. It finds everyone in one way or another. What a gift, huh? My first comment is to get out of the closet and let the world know you love James Taylor too, Liz. 😉 He has such a lovely charm and gentle sensitivity, two of the things I do like in a man. His voice is definitely like an angel and continues to be sweet and clear like you said. You have lots of the same influences in music that I do too. I clearly remember the Captain and Tennille and of course Sonny and Cher, as when my former husband and I were in the music business people compared us to them. Big Beatles fan to and then there is all the old school R & B, like Marvin Gaye. I love Daryl Hall, because of his blue-eyed soulful voice…among other things. (Big wink after that one). I’m happy that this post got you looking at music in your life too, as I think that without music, life is just flat and uninspiring. Yes…it’s a big gift indeed. I grew up in Detroit…need I say more? Motown is in my heart and soul. There is nothing that gets me feeling better than a great R&B band to dance to on Saturday night! Marvin Gaye, Smokey Robinson, Chaka Khan, Aretha Franklin, Tina Turner will always get me grooving. But when it is time to be mellow…yep, JT along with Carole King, CSNY, Simon & Garfunkel and Cat Stevens all take me right back to every summer I spent at camp in the 1970s! Thanks for sharing such a great story about your long history with music. If truth be told, Beth, I am also an R & B gal. I loved all things Motown and when Daryl Hall and John Oates hit the music scene with their blue-eyed soul, I was hooked on the pop side of music too. And yes, James Taylor and Carole King have remained part of the soundtrack of my life as well. I don’t seem to ever tire of JT. I was a big Cat Stevens fan as well and most of the pop music that came out of the 70s. Appreciate you sharing your music history too, especially as I really hear how important music has been in your life and how powerful the memories still are of those days and nights spent at summer camp. Glad you enjoyed my music history too! Happy to hear that music evokes memories in your life too! It seems to be a very important part of all our lives. Love how you share how music can lift you up when you are in a down mood and how hearing your native Japanese music also brings memories of you family who still live there. Thanks so much for sharing more about how music impacts your life! becoming: A singer in a “rock & roll” band! of seeing them sing together. Love that you 100% related to the walk down memory lane in this piece, Sharon. And yes, I was at the Troubadour reunion tour of James Taylor and Carol King’s a few years ago. Anytime I have the opportunity, I will see James Taylor live. Only a few musicians I can say I do that for. James and Carol have a long history together and even reading her memoir and his, you can see how some people’s lives are just intertwined from the moment they meet. Glad you enjoyed the trip down memory lane. Even happier you are totally on the same page too! It all depends on what I’m doing “which” type of music I’m listening too. If I’m in a webinar or learning something, I’ll put Binaural Beats music on. But, if I’m in the studio, I’ll usually put on Juke box hits, some AC/DC, stuff from the 80’s. Gisele Grenier recently posted…Does Your Brand Practice What You Preach? You have such an eclectic taste in music, Gisele. Interesting. I generally listen to pop or r & b, so it is always fascinating to hear about what other people listen to depending on the mood or the situation. Curious about the Binaural Beats, especially while listening to a webinar. I must explore those more and see if it is something for me to incorporate into my music library too! Appreciate you sharing how music impacts your life too. Music is so evocative for me. When I hear certain songs, I clearly remember what was going on in my life at the time. Sadly, I don’t listen to as much music these days. Agree, Jackie. Music always evokes something within us; something personal and as you say, often memories we store from times long ago. It feels like you are missing having music in your life and knowing how powerful it is, I encourage you to bring a little music into your life! Love James Taylor and love your message about the power of music. Music seems to play such an important role in every phase of our lives – watching young children discover their own voices through experiencing the music of professionals is such a thrill! Then at every stage of our lives we see how our tastes broaden or become fine tuned. I also had the experience to watch my mother-in-law’s appreciation of music at the end of her life. While she had lost the ability to recall much of anything else, if a song from her past was played her face would light up and she was filled with joy to be hearing her favorite tunes. Lots of memories build around music – thanks for this post, Beverley. Thanks for sharing that lovely story about your mother-in-law, Deb. I know they are continuing to do research and use music as a very powerful therapy for elderly people who have lost most memories, yet seem to come alive again when they hear songs they remember. I believe those memories live in our etheric bodies, not in our “minds” as most people would think. Memories live in our cells and something as simple as listening to music can revive and bring them to the surface again. And yes, music seems to play a key role in all cultures, it is part of shaping us and who we become. And it starts at a very young age. Although I keep saying this, music truly transcends words, offering an experience that comes from our soul. Thanks for sharing your own music memories. I appreciate your sharing the dramatic changes in your life as a result of the music, memories and healing, significant contributions of James Taylor. The inspirations that you got from him, and his music has transcended you to another time. Music, unsurprisingly, is always a part of everyday life. Music can do for our spiritual well-being. I would like to share the lines of Celaleddin Rumi. He once said, “In the rhythm of music a secret is hidden; if I were to divulge it, it would overturn the world.” The secret is within us all, let’s overturn the world. Thank you so much for sharing that Rumi quote, Lorii! It is exquisite. I don’t believe I have heard it before and what a wonderful picture it paints of the incredible power and joy music brings into all our lives. Music truly is an elixir for our soul and as you say, it is very spiritual and I believe often gives us an experience that is beyond words. Thanks so much for sharing your observations and this profound quote which truly is magical. Music has always been in my life, too. I learned to play the clarinet at age 7 and the guitar at 14/15. I’ve sung in many choirs. My brother was/is a professional musician so there was always music in the house growing up. Now, I’m married to a drummer. I think music speaks deeply to the soul and love to sing all alone in my house. Carol Rundle recently posted…What is 3Jn2 Wellness? Love hearing how music has been such a constant in your life, Carol. Amazing how having music around us from an early age, shapes us as we mature into adulthood. My brother is also a musician (Indian drummer/Tabla) and I also spent many years in the music industry with my former husband. Music truly is a soul experience and I also believe it transcends words, offering us much joy and freedom when we either listen to it, or participate making it. Enjoy singing and kudos to everyone in your family for spreading music into the world! This is lovely. My husband is a big James Taylor fan, and I appreciate his music. Music has a way of getting into the soul. I’m a big Springsteen fan for a number of reasons, one of which is that his music is the only one capable of dislodging an earworm for me. I like to sound design my own plays because music is often the initiator of many a concept for me as a director. Thanks so much for sharing how important a role music plays in your life Lori Ann. Interesting about Bruce Springsteen’s music and how it helps you with your earworm issue. And I love hearing how you sound design your plays, as I agree, music is such a stimulator and initiator, and by using music, your original idea could head in a totally different direction than you had planned. And your husband has great taste in music if he loves James Taylor! Music doesn’t get any better than that of JT’s. Music takes me to a higher place of thinking. Especially James Taylor! Music definitely lifts us to a higher place Kristen! And James Taylor. Who doesn’t love him? Something about his angelic voice and lyrics with soulful meaning. What an amazing post! I loved this especially: Music is its own language. A language everyone understands. This is so true. Of course, everyone has their own favourites. Some like classical music, some like rock-n’roll, others love pop music. And – absolutely – everyone experiences their own unique emotions while listening to music, and enjoying it their own way. My son, for example, wants to take part in The Voice when he grows up! Wishing you the best of luck with your new book. Thanks so much for your own enthusiasm for music, Irina. I personally cannot imagine my life without it. I agree that we all respond differently to various kinds of music, and the beauty is, as humans we are all touched or moved by it in our own unique ways. Thanks for picking up the line “Music is its own language. A language everyone understands.” This really does describe music to me. As always, your posts evoke memories and thinking. I read previous comments & did not grow up listening to music or hearing it in my home. It wasn’t until I went to summer camp at as a counselor at age 18 that I became exposed to folk music. I had a really nice blending voice and could do harmony. My 1st real boyfriend played the guitar. My x husband expanded my music tastes to include jazz & classical. It was the groups you talk about, the concerts we went to, the music that was always playing at home, that when I hear them, I think of my family of 4. We exposed our children to love music as well as nature, outdoor life, values and it is the lyrical story that captured all of us. Love how you share how music came into your life when you were exposed to it at summer camp. How you remembered those moments of playing and singing music together brought me back to my days at camp and the musical theatre productions I got involved in instead of sports. Sounds like your ex husband brought a lot of new impulses into your life and those filtered down to your children. It’s great to hear how music brings back such sweet memories, Roslyn and how you offered your kids many varied opportunities to learn about life through both music and nature. It shows now in your jewelry designs too, as there is something quite lyrical about the pieces you make and I imagine there is some wonderful story being created as you design them. What a refreshing and thought inspiring post! I love music and it has always been an important part of my life. As I read this, it was like a video started playing in my mind. First, I thought about my father singing musical hits in his rich baritone voice as he worked when I was a little girl. It was as though I was living in a musical. Then, other scenes flashed through my mind when I was in high school musicals and choir. Precious memories. Thank you for sharing your musical journey and memories. 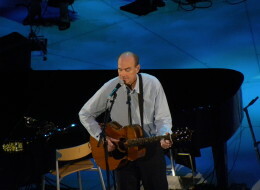 How wonderful that you were able to see James Taylor in concert so many times! Glad this post evoked some music memories for you Robin and thank you for sharing with us too! Love hearing about your father’s love of singing musical hits and how you also performed in high school musicals in choir. I truly believe that we are influenced to love music by our parents and the music we hear when we are growing up. And yes, I was just thinking that James Taylor is not coming to perform close by this year, and how I miss that (almost) yearly experience. So happy you have such fond musical memories! Enjoy your week too. Having music at home as a child does leave a mark. I studied Indian classical for a few years and while my taste is still quite eclectic (I’ve got Metallica, Janis Joplin, Nickelback, The Doors,Madonna, Nenah Cherry and New Forest along with Verdi in my rack along with others), it is the music of my parent’s generation that i return to when I need a morale booster. Something about Beatles, Rolling Stone and other Groups that are evergreen. The secret sauce is the lyrics. Those musicians wrote from the heart and then created the music to carry their message to a higher level for those of us who were too young to have been at Woodstock. Love hearing how eclectic your own tastes are in music Vatsala. Hearing about your parents and the music you heard from them, reminded me of my parents (especially my mother’s) love of broadway shows and how my brother and I both picked up that love somewhere along the way. My love of James Taylor and Daryl Hall (Hall & Oates), Sting and Annie Lennox, is as strong in my daughter as it is in me. That is an interesting study in and of itself. How the music our parents listened to influences us. I also studied Indian Classical singing by the way, and my brother studied Mridangam and now is a renowned Tabla player. And I couldn’t agree more about the lyrics and the message the musicians of that era brought us. I truly believe that is why they are evergreen classics and span all ages. Young people today love the Beatles as much as we did back then. There are many groups and writers who I feel have lasted throughout the decades! Old school music was great. I have somewhat eclectic musical tastes, everything from heavy metal to classical, but I do like the fact that a lot of the songs from the 60’s and 70’s had a story they were telling, not just repetitive dribble. I think current musicians could take a lesson from this and it would appeal to a much wider audience. Thanks for the walk down memory lane Beverley. Cheers, Ian. Absolutely true, Ian. The music of the 60s and 70s was story driven and many of the great classics we all still love, came out of that era. My tastes are more pop and r & b, however, I love music and how it positively impacts people. It truly is its own language! Glad you enjoyed the walk down memory lane and I agree with you, in that today’s musicians could take a lesson from the greats of earlier decades. I think that’s why some of the great like James Taylor span all ages and are still as popular and current today as they were back in the 60s or 70s. This post was a time warp. Talk about memories. I matured listening to James Taylor & music of the 70’s. As a new mother, our interests became more narrow but one thing that remained was our love of music. My x husband had an audio repair business. We didn’t watch tv- only listened to music. Every room in our house had its own audio system & each baby was given Bose speakers. I laugh as I think about how addicted we were to a type of music and life style. I do miss it. Love that you are also a James Taylor fan and that music was such an important part of your life too. Hope that continues even to this day. Amazing to hear that your children had their own audio system and Bose speakers, no less. Music is such a life elixir and I believe it evokes memories in us all. I personally can’t imagine life without music! Curious if your tastes have changed over the years, or if some of your favourites from back then, are still favourites today. I love the music of the 70s! So much variety, so many singers and bands, there’s indeed something for anyone! We listen to old music weekly in our home and the kids get to understand it better and have their own favorites too. Thanks for this great post, Bev! I agree with you Delia, that the 70’s certainly had its share of outstanding and varied musicians and musical styles. Some of my favourite artists are still going strong although they burst onto the scene in the 70’s. That’s great that you share it with your children too. My daughter grew up on Hall and Oates and Sting and Annie Lennox plus of course James Taylor, so she is in sync with all these great artists and musicians. Thanks again for reading and commenting. I love the 70’s music! Even though I’m not from that decade, it reminds me of my dad who use to make me listen to this music when I was little. Love it! Thanks Maria. I think really great music transcends the generations and for sure people like James Taylor and other 70’s music legends are as relevant today as they were back then. Happy to hear that you have embraced music from that era. Beverley your post brings back memories. Thanks so much Debbie. Seems like music brings back memories in many ways for us all. Appreciate you stopping by and reading this one.